It was inevitable, I guess. New granddaughter .............sewing children's clothes. The weekend before last we were in Arizona to introduce our granddaughter to her great grandmother. Needless to say, it was a very special time. We just happened to be near one of my favorite quilt stores ever, Quilters' Store Sedona, so my daughter and I had to stop in to check out their fabrics. They always have a wonderful selection of batiks and unusual Western motifs. They also have a large selection of patterns. 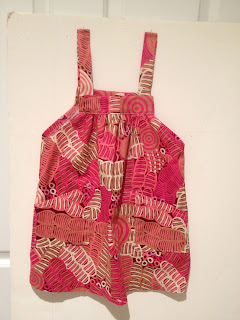 Daughter fell in love with a pattern from Indigo Junction, Pint-size Pinafore. We found the perfect fabric for a pinafore and I took it home with me. I haven't made very many clothes since my wedding dress - a few things for my daughter when she was young, but it has been many years. Fortunately pinafores are not hard to make. Being true to form, I immediately made some adjustments to the design. Old techniques popped up in my brain and by the end I was sewing with little reference to directions. The pinafore turned jumper turned out fine, as you can see. I think the thanks for that goes to a dear friend from my teen years, Millie Kovach. She was the mom of my best friend, Georgette, and she was an awesome seamstress. Millie taught me everything I know about sewing. I would appear at her door with a Simplicity pattern and some fabric. She would give me a big hug and commence to share with me shortcuts that professionals know while explaining garment construction in simple basic terms. I learned those fundamentals well and this past weekend I felt as though Millie was looking down from heaven and smiling as I stitched up Judy Kate's pinafore. Thank you, Millie, for those precious gifts of your time and knowledge. Linking to Nina-Marie's Off the Wall Friday blog. Check out what others have been doing! I love jumpers. And this one is precious. Your granddaughter will look adorable in it. 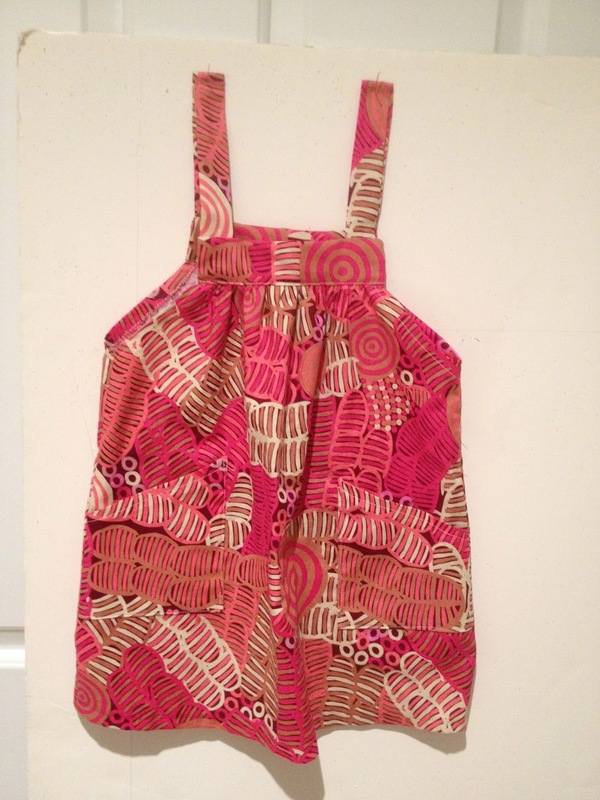 Lovely pinafore! I enjoyed your story.